George Connelly is recognized as one of the leading federal tax litigators in the United States. His practice focuses on IRS audit, collection and criminal matters including civil and criminal tax litigation matters, for clients including individuals, companies and estates. 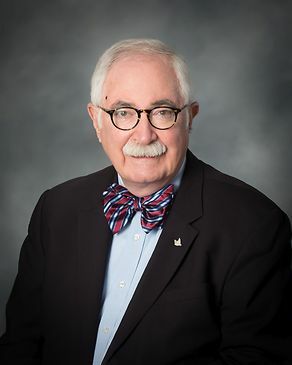 In a distinguished career spanning decades, he has achieved over 60 reported opinions in tax cases, and has received numerous honors and awards from governmental bodies and professional organizations. Mr. Connelly gained perspective and insight into the workings of the federal tax system as a lawyer with the Internal Revenue Service. In his 15-year career with the IRS, he established relationships that continue to the present day. Mr. Connelly served at many levels, in the Office of Chief Counsel, as a Special Trial Attorney for the North-Atlantic Region in Buffalo, New York, and as the Legal advisor to the Buffalo, New York, District Director and the Buffalo Appeals Office for criminal, examination and collection divisions; and as the Tax Shelter Coordinator for nine years, from 1976 to 1985. Mr. Connelly also served as an Instructor for the Chief Counsel's National Trial Attorney Training Program, lecturing on evidence and cross-examination; and as the Leader of Task Forces (1979, 1980) charged with the creation of the Regional Trial Attorney Training Program and the Redesign of the National Program. In addition to serving as past Tax Controversy Practice Leader, Mr. Connelly has assumed a leadership role within the Firm, participating for many years on the Business Development Committee and as Head of the Entry Level Recruiting Committee from 1999 - 2000 and 2003 - 2005, as well as participating on many other Firm committees. Wickersham v. Commissioner: Persuaded the U.S. Tax Court that a man convicted of filing a false income tax return had not committed civil fraud with respect to that return. U.S. v. Sidley Austin Brown & Wood LLP, 2004 U.S.T.C ¶ 50,289 (N.D. Ill 2004) - In a “John Doe” summons proceeding, we represented a group of clients of the law firm and persuaded the Court that under FRCP Rule 24(b), merely being involved in an IRS audit and dispute was a sufficient "injury" to our clients to enable them to permissively intervene. Hajecate v. Commissioner: Persuaded the U.S. Tax Court that information secured by the IRS from a grand jury investigation could not be used in a civil tax proceeding. H Graphics Access v. Commissioner: Persuaded the U.S. Tax Court that the alteration of a document prepared by the IRS was not the product of fraud or malfeasance, such that the resulting agreement was enforceable. U.S. v. Texas Commerce Bank: Persuaded U.S. District Court that federal tax lien did not reach interest of beneficiary of discretionary trust. How Does the IRS Police Its Own Lawyers? How Does the IRS Treat Federal Agencies Who Owe Employment Taxes? What Will The IRS Do If You Don’t Prepare An Income Tax Return? What Can The IRS Do If You Go Out Of Business? Is the IRS Going Easier on Taxpayers with Foreign Accounts? Under Water on Your Home Mortgage? Talk to Your Tax Advisor Before You Take Action! If The Job Offer Includes A Loan From The Employer, Talk To Your Tax Adviser Before Accepting! Where Does the IRS Get Off Telling You How to Run Your Business? Will “Starving the Beast” Mean the End of the Taxpayer Advocate’s Office? How Do You Know the IRS Received What You Sent? When It Comes To Compliance With The Tax Laws, How Do IRS Employees Stack Up? Whatever Happened to The Kinder, Gentler IRS? Who Audits the Internal Revenue Service? If I Agree To Pay The Tax In Full, Will The IRS Simply Forgive The Interest And Penalties? If You Move, How Will the IRS Know Where to Find You? Can Stress Or Depression Reduce Your Income Tax Liability? What Should An Employer Do When It Receives An IRS Notice Of Levy To Garnish Compensation of A Worker? Has the IRS Declared War on Wealthy Taxpayers? Does The Tax Man Care If You Settle a Debt With Your Credit Card Company? Is Life Insurance Ever Taxable? George Connelly was a regular commentator for Houston Business Daily. Attorneys with national law firm Chamberlain Hrdlicka have been selected to the 2018 Texas Super Lawyers list. What Happens If We Abolish the IRS? Before You Abandon That Underwater House, Read This! How Does IRS Police Its Own Lawyers? Will "Starving the Beast" Mean the End of the Taxpayer Advocate's Office? Does the IRS Ever Make Believe You Have Assets You Don’t Have? If Santa Claus Doesn’t Answer Your Letters, Why Should You Expect The IRS To? Are the IRS’ Financial Statements in Good Order? What Would Happen If A Taxpayer Asks The IRS For The Same “Deal” That Timothy Geithner Got? What’s The Big Deal About Foreign Bank Accounts?